Busy parents can now have a relaxing experience at their fingertips. Launching October 15th Soothe makes booking a massage easy as ABC. Soothe’s same-day massage-on-demand service is now available here. 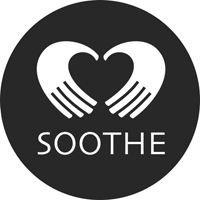 Soothe’s service connects clients to licensed, vetted and insured massage therapists who come to your location and deliver a 5-star service. Soothe makes it easy A) Book your massage using the website or mobile app www.soothe.com, B) Therapists will arrive at your your doorstep in one hour, C) Enjoy your massage! Appointments are offered between the hours of 8 am until midnight every day of the week, with fixed prices of $99 (60 minute), $139 (90 minute), and $169 (120 minute) per person, regardless of the type of massage selected. To get started, download the iOS or Android app (soothe.com/app), then select what type of massage they want, the treatment length, and the therapist’s gender. Clients who cannot download the app can book via www.soothe.com, which is available 24-7, or call a toll-free number (800.960.7668) during business hours. Thanks to the wonderful people at Soothe enter to win a 1 (one) hour complimentary massage. Complete your entry form at www.urbanbaby.ca. For a limited time Urbanbaby & Toddler Magazine Readers (first-time soothe users) can receive $30 off any spa service with code URB30. Aah..Bliss!